When looking at wedding reception venues there are a few key considerations that must be accounted for. By ensuring general necessities are under control, you can plan for the perfect wedding reception. 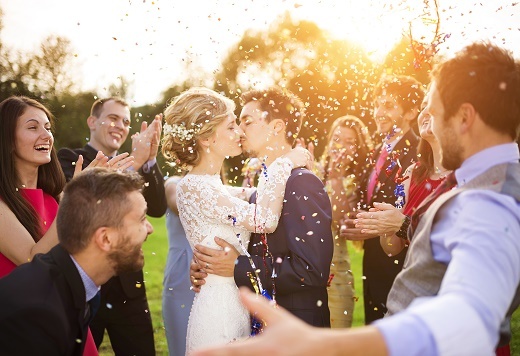 Take these considerations into accounts when searching for the perfect wedding reception venue. Often, this can seem like an obvious consideration. However, in the case of a wedding reception, other spatial needs must be considered. For instance, your guests will likely be doing activities during the event, like dancing and eating, so you need to be sure that your chosen venue can accommodate for this extra space requirement. Setting the perfect mood for your wedding reception venue can not only make guests more comfortable, it can make them enjoy the event much more. In most cases, you will want lighting that invokes the tone you are seeking to achieve. For instance, if you want to have a high-energy, fun atmosphere, you will likely want colored lighting to help enhance the target mood. It is important to ensure the wedding reception venue you choose has adequate parking available for your guests. It can be disheartening to choose a venue then realize on the day of your wedding reception that guests have nowhere to park. If parking is a problem, you may have to look at alternative ways to get everyone to your event. Unlike having a wedding reception in a public place, utilizing a venue affords guests a little more privacy they otherwise wouldn’t have. Does your venue have multiple rooms that might cause two events overlapping and diminishing the quality of your event? For some, privacy is an absolute necessity that their wedding reception couldn’t do without. Ensure your privacy concerns are accounted for before signing for a venue space.